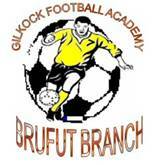 The Academy has won their first warm up game against GAIC FC on Sunday by 3-1. The game was watched by a hundred people including some coaches from the first and second division. Few of our players were contacted to join few clubs amongst which are Kisima Bojang,Sainey Manneh, Gora Bah, Lamin Sonko and goalkeeper Ansumana Sonko. The boys played extremely well to dominate their opponent both in the first and second half.